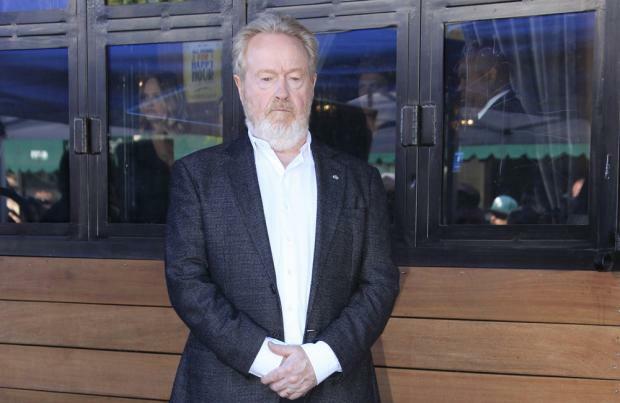 Sir Ridley Scott thinks he is "too dangerous" to helm a 'Star Wars' movie. The 80-year-old filmmaker has directed a number of iconic movies during his career, including 'Blade Runner' and 'Alien', but while his films have become internationally acclaimed, Sir Ridley has never been approached to helm a 'Star Wars' movie because he likes to be in "control". Sir Ridley said: "I'm too dangerous for that. I think they [Disney/Lucasfilm] like to be in control, and I like to be in control myself. "When you get a guy who's done a low-budget movie and you suddenly give him $180 million, it makes no sense whatsoever. It's f**king stupid." Sir Ridley also said that although he demands a heavy fee, he will always make a film "under budget and on time". He told Vulture: "You can get me for my fee, which is heavy, but I'll be under budget and on time. "This is where experience does matter, it's as simple as that! It can make you dull as dishwater, but if you're really experienced and you know what you're doing, it's f**king essential. "Grow into it, little by little. Start low-budget, get a little bit bigger, maybe after $20 million, you can go to $80. But don't suddenly go to $160." This year witnessed the release of the highly anticipated 'Blade Runner' sequel, 'Blade Runner 2049'. Sir Ridley was involved in producing the movie, but it was actually helmed by Denis Villeneuve. And the British film director has claimed that the sequel - which starred Ryan Gosling and Harrison Ford - wasn't a success because it was "way too long". Sir Ridley said: "I have to be careful what I say. I have to be careful what I say. It was f**king way too long. F**k me! And most of that script's mine."